There are 13 players remaining in the six max event, and Caleb Clarke is leading the pack with 350,000. 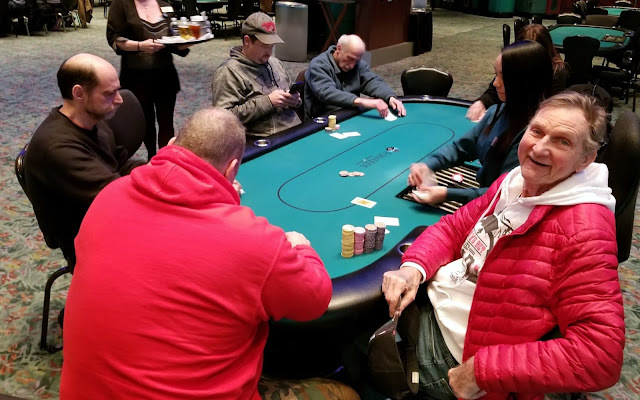 They will play hand for hand until one player is eliminated, and the remaining players will all be in the money and guaranteed at least $928. 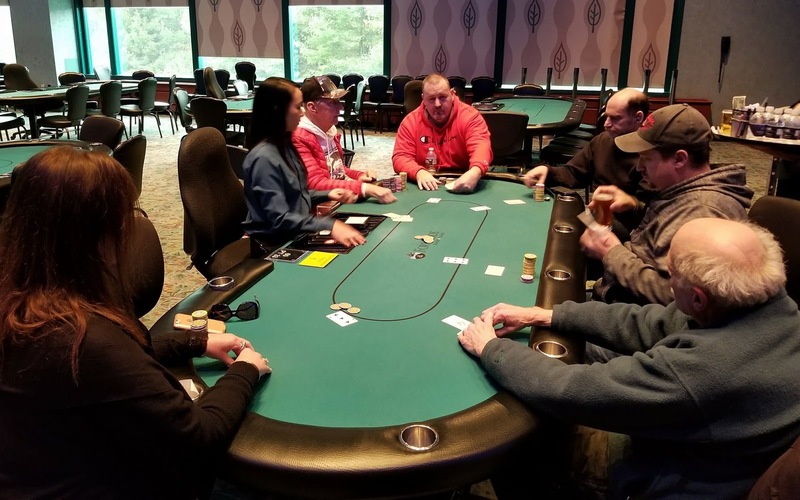 There were a total of 15 entries in today's 7-Card Stud tournament, generating a prizepool of $3,783. Seat 4 - Tarun G.
These five players alone hold over $3,500,000 in collective live tournament earnings. When the Foxwoods.com blog staff checked in on the table there was a general consensus that they were all ready for the table to break. 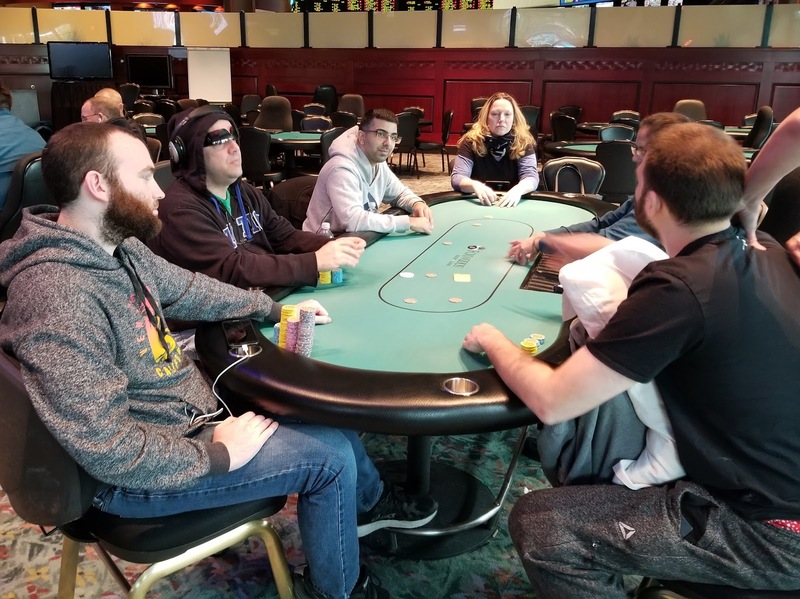 "I looked around the field and didnt think that it was super stacked," one of the players at the table said, "But as soon as I sat down to this table I knew I was in for a tough day." Another player responded, "We are all playing cautiously, and just kind of waiting for the table to break." There were a total of 87 entries in today's six max event, and 12 players will make the money, meaning the final two tables will get paid. The total prizepool generated is $37,132, and first place will take home $10,397. After the recent elimination of Matt Solitro in 3rd place, Nathan Bryant and Daniel Podheiser have agreed to an ICM heads-up chop. 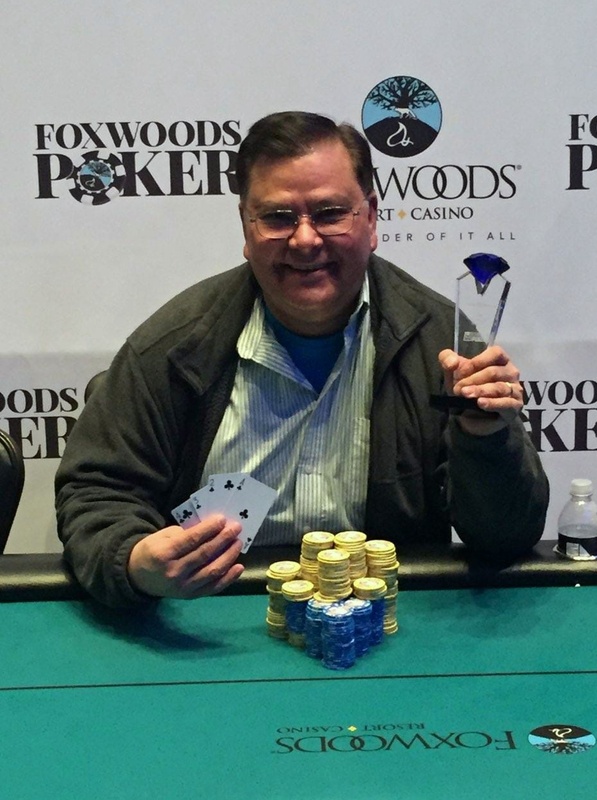 Bryant is taking home $44,525, and Podheiser is taking home $46,033 and the trophy. The final three have decided to slightly adjust the payouts, and play the tournament out. The 7♠ turn and 9♣ river do not improve Tronilo's hand, and Bryant doubles up. 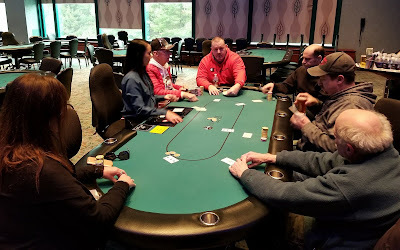 With a board reading 4♥2♥2♦, Matt Solitro checks in the small blind, Daniel Podheiser bets 320,000 in the hijack, and David Mock moves all in on the button for 2,300,000. Solitro folds, and Podheiser calls. The Q♠ on the turn gives Podhesier a full house, and Mock stands up from his chair and says, "There it is, good luck everyone." 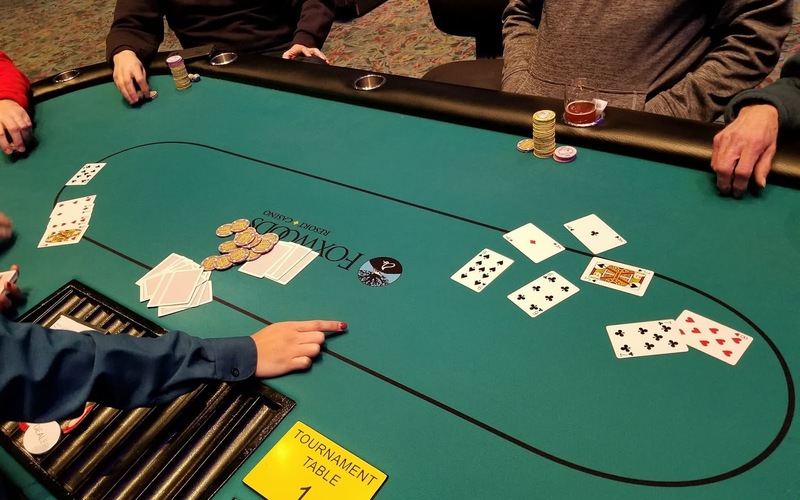 The river is the J♦, and Mock has already departed the final table area. Dan Podheiser raises to 200,000 in the hijack, and David Mock moves all in on the button for 1,435,000. Podheiser confirms the total, thinks for a few moments, and then calls. The flop comes 10♣6♣5♣, leaving Podheiser in the lead, but giving Mock outs to the club-flush. The Q♣ comes on the turn giving Mock the flush, and causing Podheiser to exhale in frustration. The river is the 8♥, and Mock doubles up. Odis Felder is all in, and has been called by Nathan Bryant. "Come on three," Felder says. 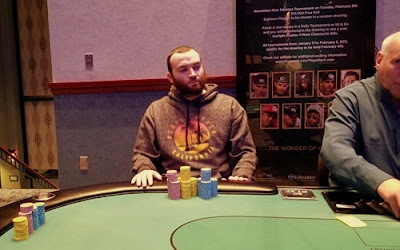 But the board runs out K♥J♦9♦5♥9♠, and Felder is eliminated from play. "I just had no cards," Felder says as he stands up and prepares to exit the tournament area.